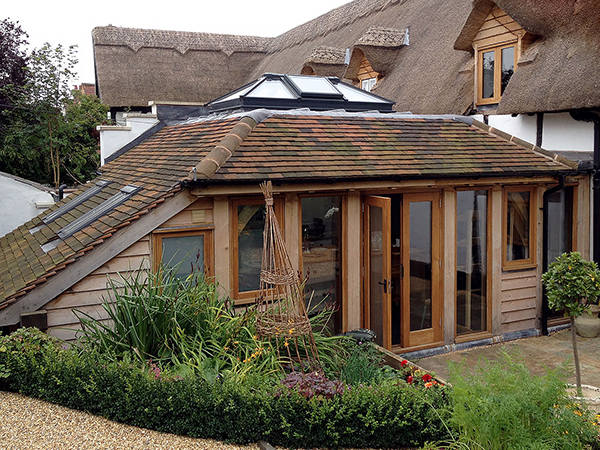 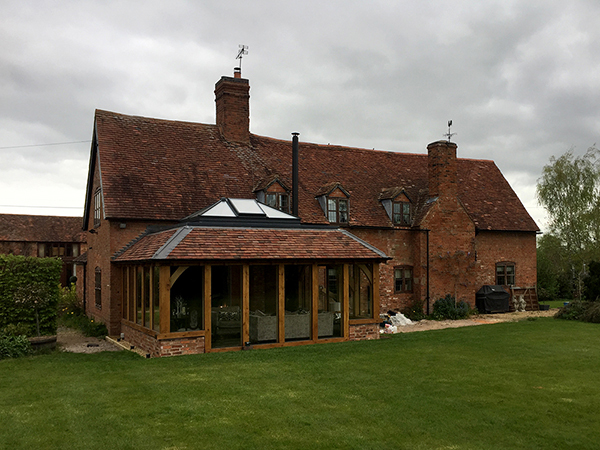 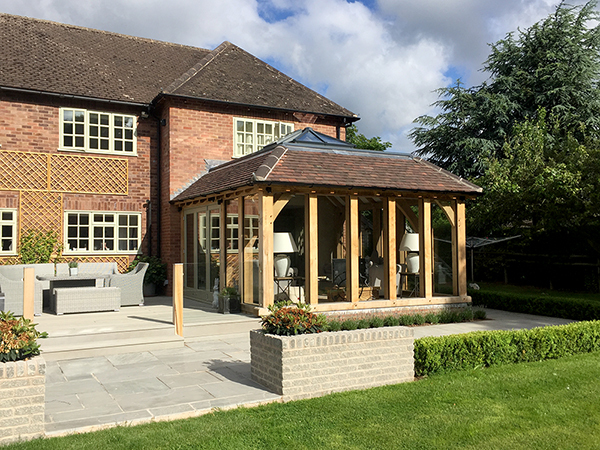 The orangery is more substantial than a conservatory, more like an extension of the home, often with brickwork or stonework to blend in with the masonry of the main building, its distinctive feature being a flat roof fitted with a glazed lantern. 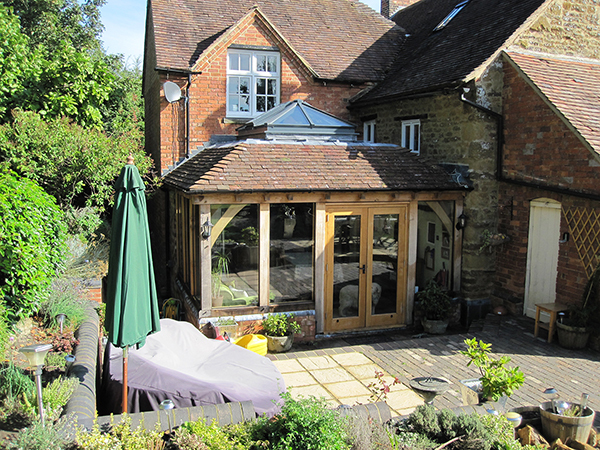 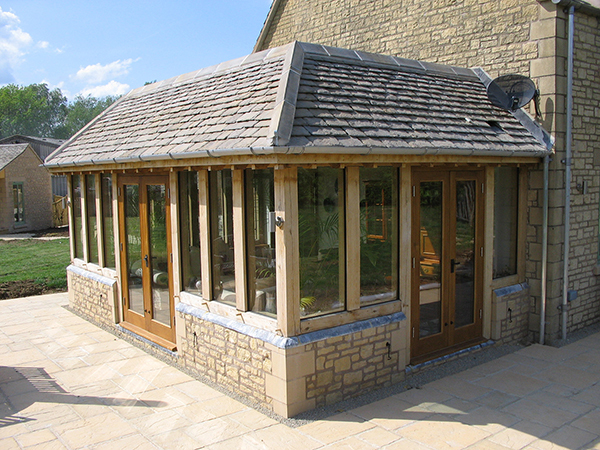 The orangery design can be used where there is a first floor window that would be obscured by a garden room. 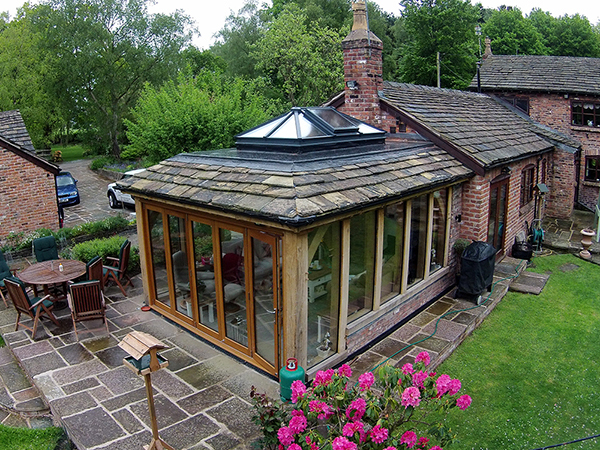 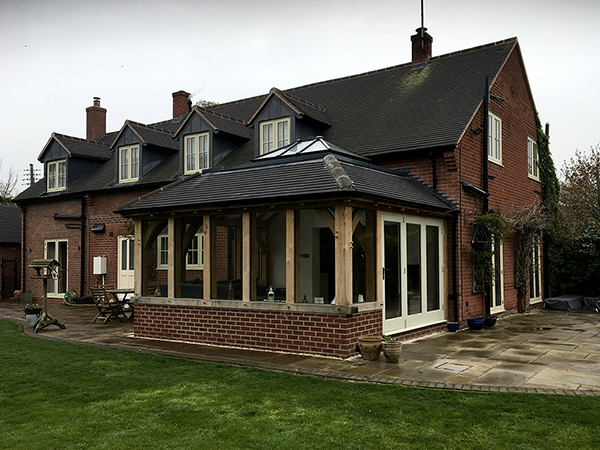 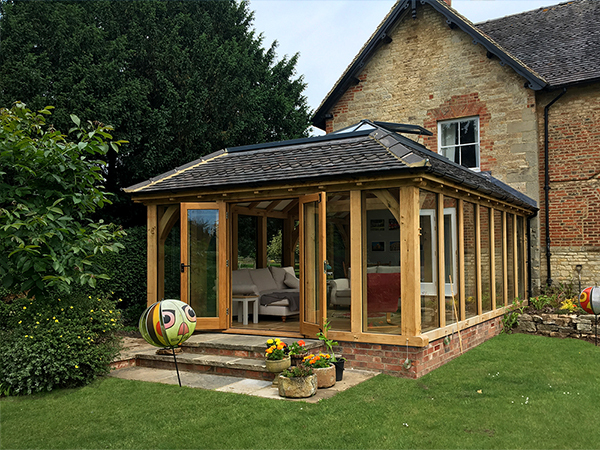 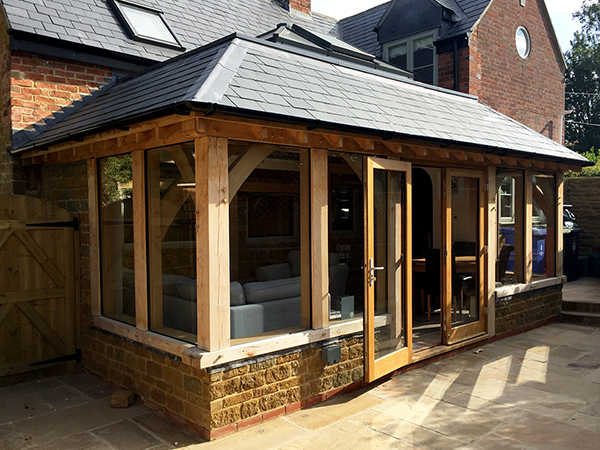 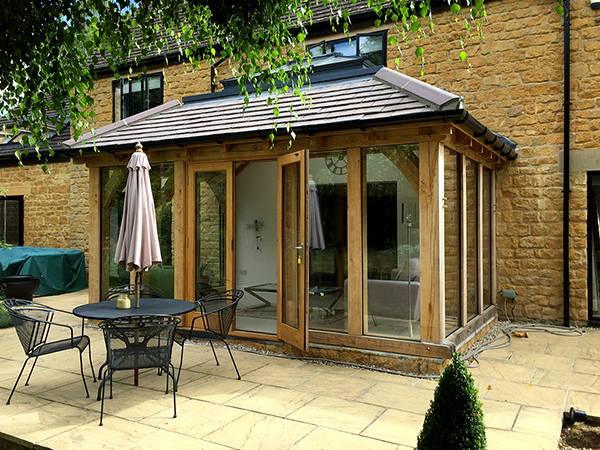 The design possibilities are endless with each elevation of the orangery suitable for oak frame detailing, masonry, glazed units, French doors, bi-fold doors and windows.